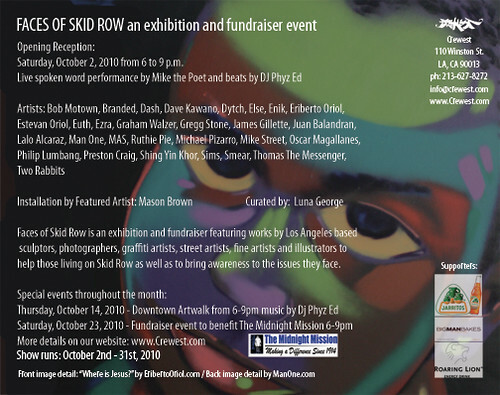 Please join Crewest and Curator Luna George for the opening of their upcoming Exhibition Faces of Skid Row in October. Faces of Skid Row is a fundraiser and exhibition to bring awareness and to benefit those currently living homeless in the Skid Row area in Downtown Los Angeles. 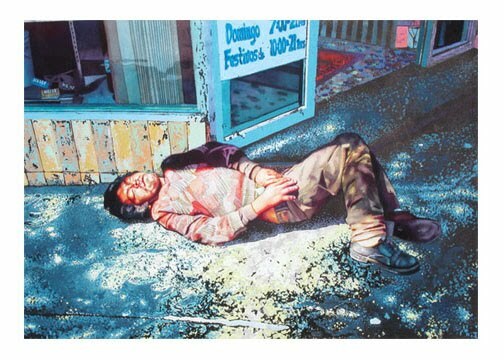 Exhibition’s artwork aims to open its viewer’s eyes to the people living on Skid Row and the issues they face. 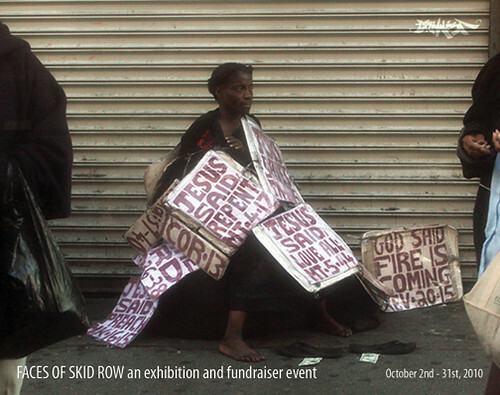 Exhibition is a call out to all those who have a concern for humanity and want to help those living on Skid Row. Artists in exhibition are all LA based and form a union of various genres. Graffiti Artists, Photographers, Sculptors, Street Artists, Illustrators and Fine Artists have all come together as one to bring you an exhibition full of sincerity, hope, reality, essence and core issues created through eye-catching and meaningful art. Opening Reception will take place Saturday, October 2nd, 2010 from 6pm to 9 pm and will feature a live spoken word performance by Mike the Poet who has written a piece exclusively for the show. His words are powerful and will affect the mind. 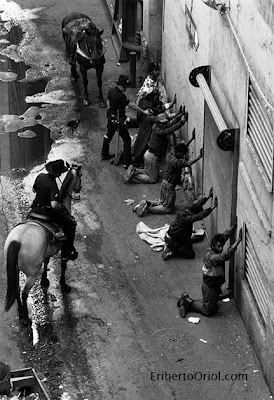 Exhibition on view through October 30th, 2010. If you would like to request further information or would like to be included in the fundraising efforts, please contact Curator Luna George at luna@crewest.com. At this time we are looking for support from the community, so please help by spreading the word. 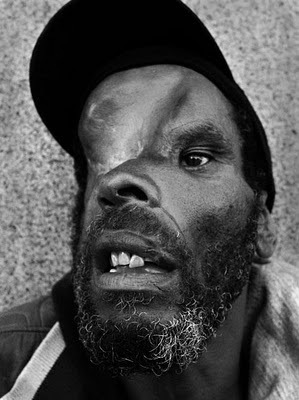 Let’s see how much we can raise to help those who are in great need. Official Press Release and flyer to follow soon!